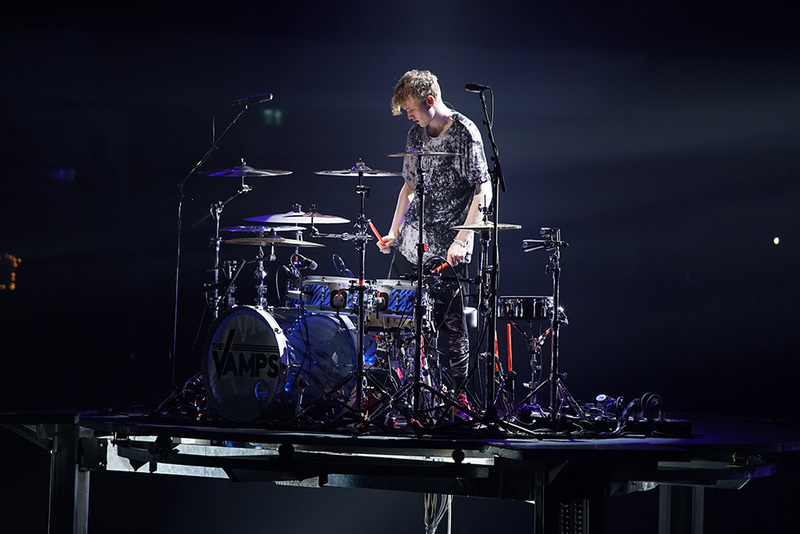 Today, we're excited to announce The Vamps Official Reverb Shop, which will feature guitars, amps, drum kits, recording gear, and more used on tour by the British rock band over the past five years. 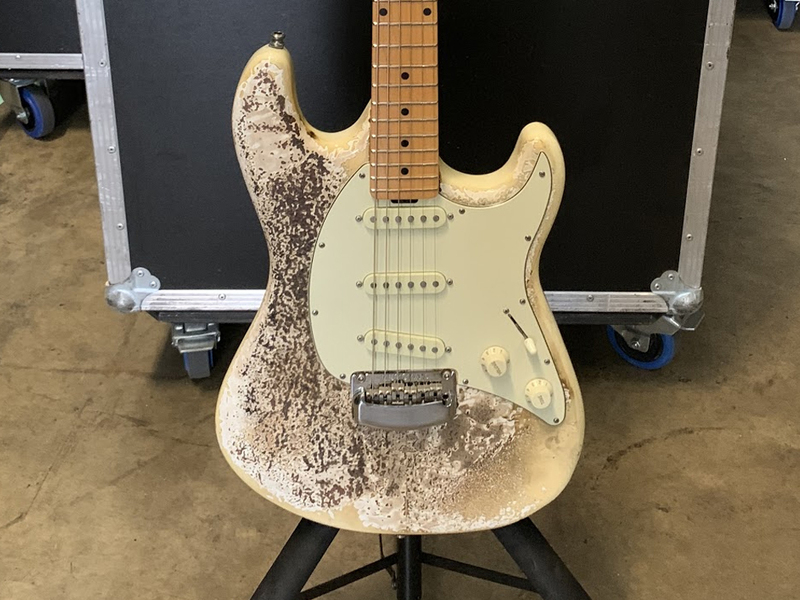 Not only will you have the chance to own gear played and loved by each member of the group, but half the proceeds from the sale will go to benefit the Teenage Cancer Trust. 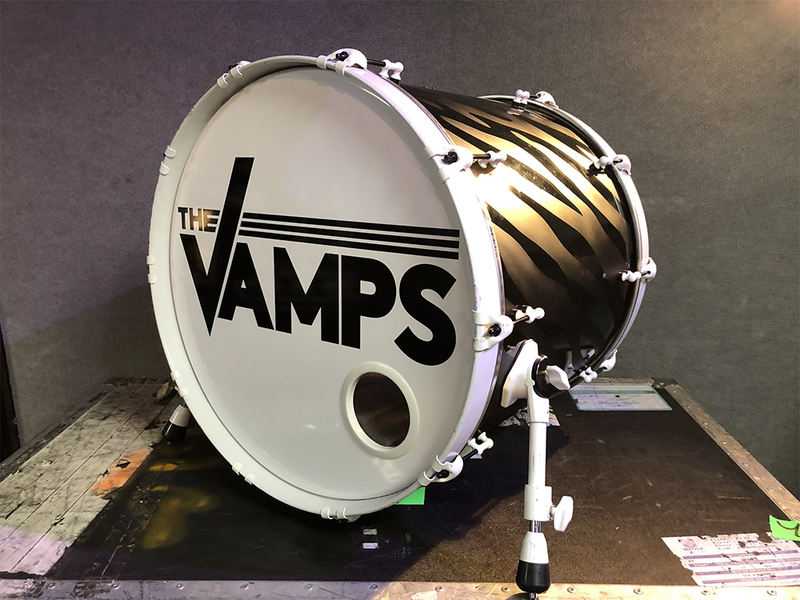 The Vamps Official Reverb Shop launches Wednesday, April 10. 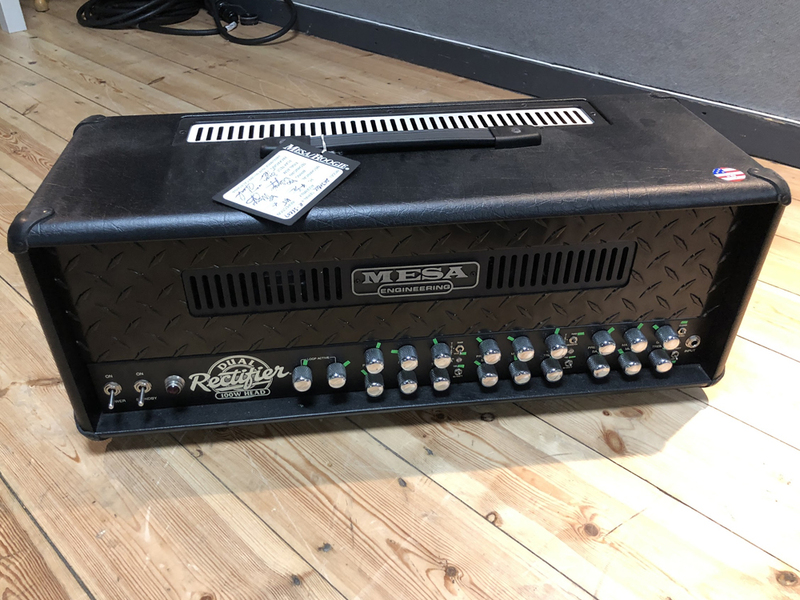 In our video above, lead singer Brad Simpson says, "The thought of [this gear] sitting in storage and collecting dust is quite a sad thing. Plus, we're getting the opportunity to do some good by giving a percentage of the sales to charity. 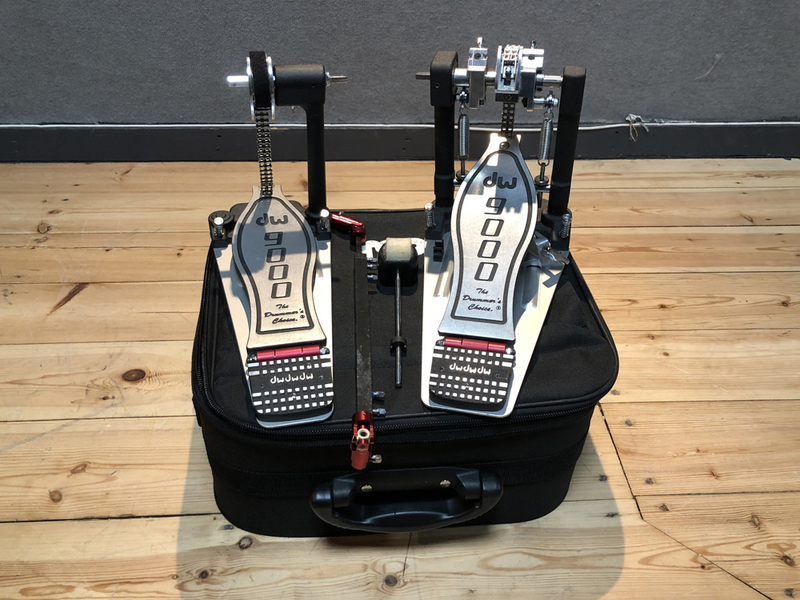 Hopefully some young musicians will get the opportunity to put the gear to good use, whether it's on stage or to write some songs." 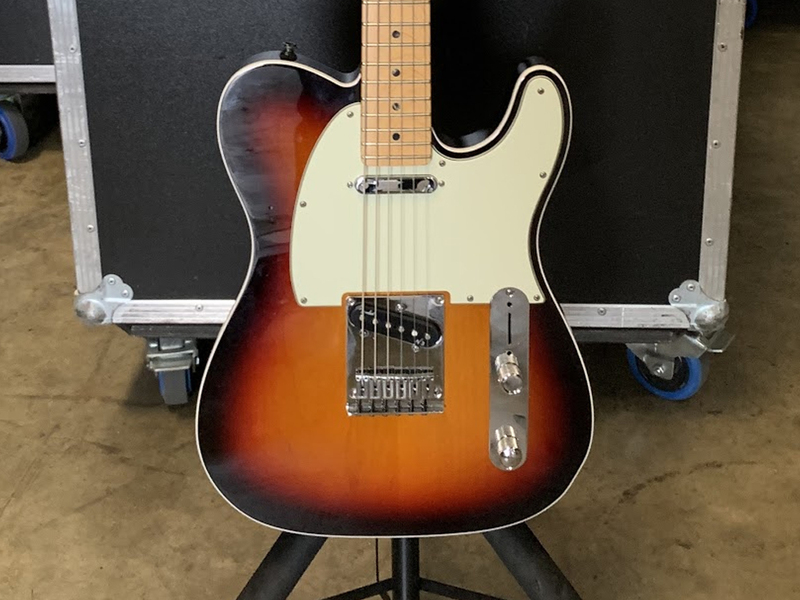 A Fender American Deluxe Telecaster used on tour by Simpson. "It's a beauty and I absolutely love it," the singer says. 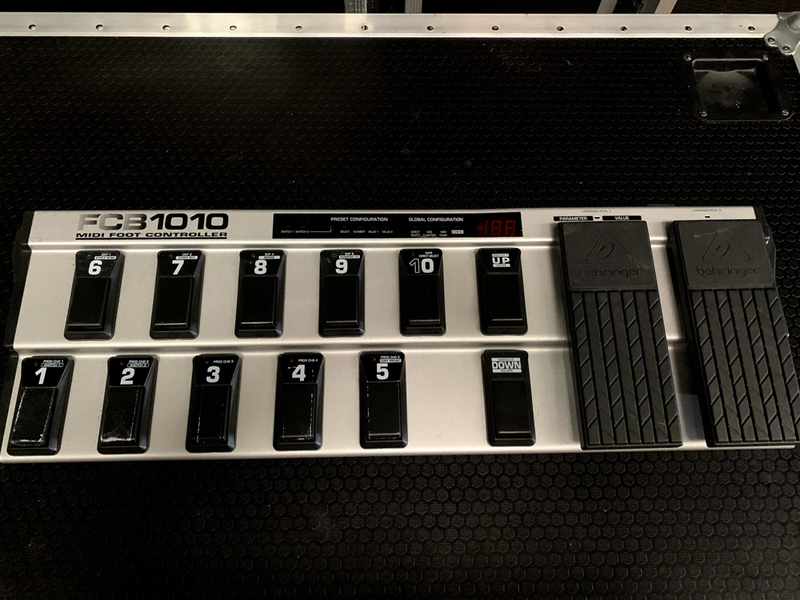 "It is very durable and very versatile—I got a lot of different tones out of it." 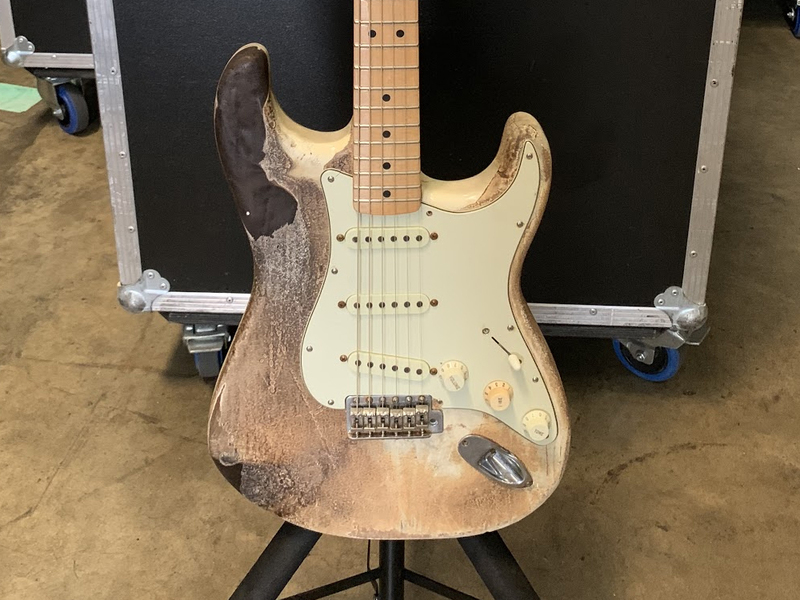 A Music Man Cutlass RS used on tour—and set on fire by—guitarist James McVey. 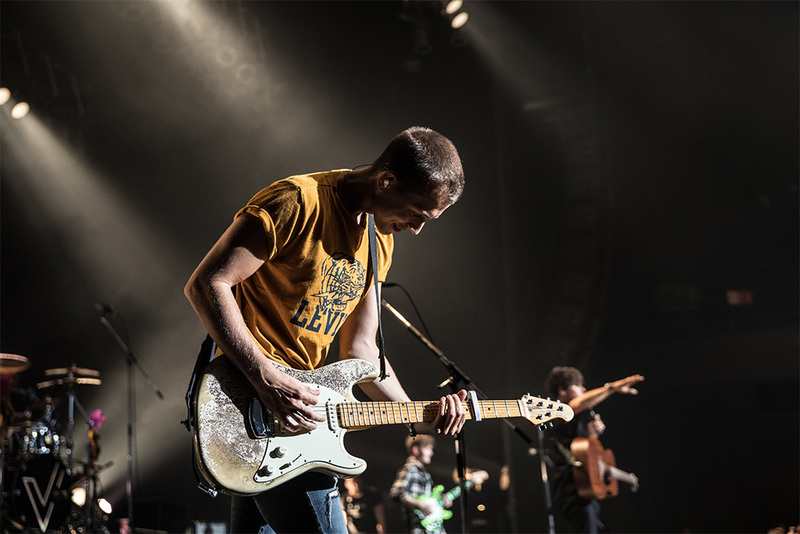 "A lot of people have asked me how I got that effect on the guitar. We just set the whole thing on fire," he says. 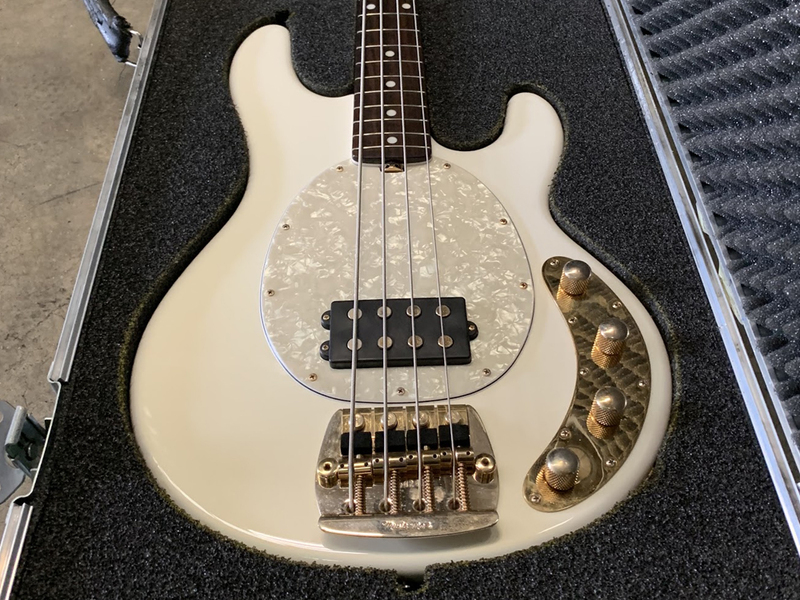 A Music Man StingRay that bassist Connor Ball calls the "Blingray." He says, "This is one of my favorite basses. 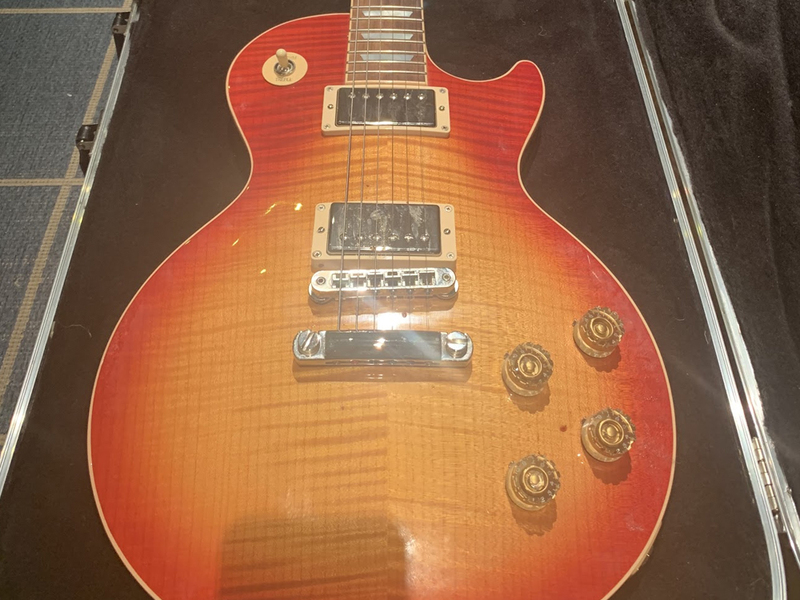 It's got gold hardware—hence the name Blingray. I hope you keep the name." 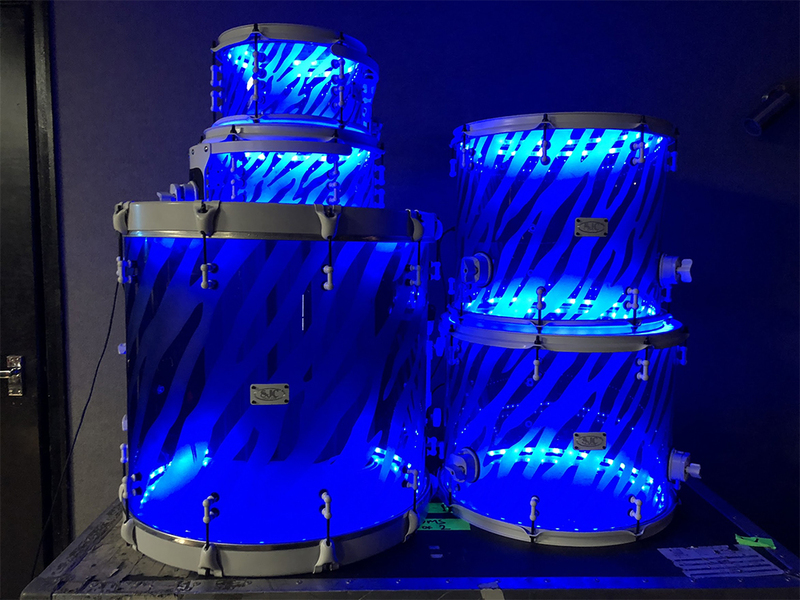 An SJC Acrylic Custom kit used by drummer Tristan Evans on the Wake Up World Tour. Evans had LED lights installed in the kit so they could be programmed to match the stage lights. "The kit is special to me and it's sad to let it go, but sometimes you've just got to do it," he says. 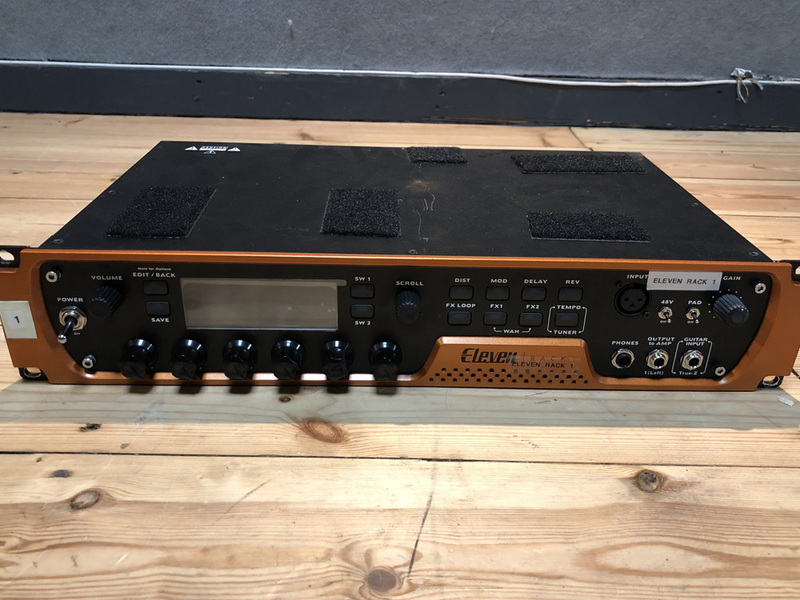 Three Avid Eleven Racks that still contain tones used by McVey and Ball. 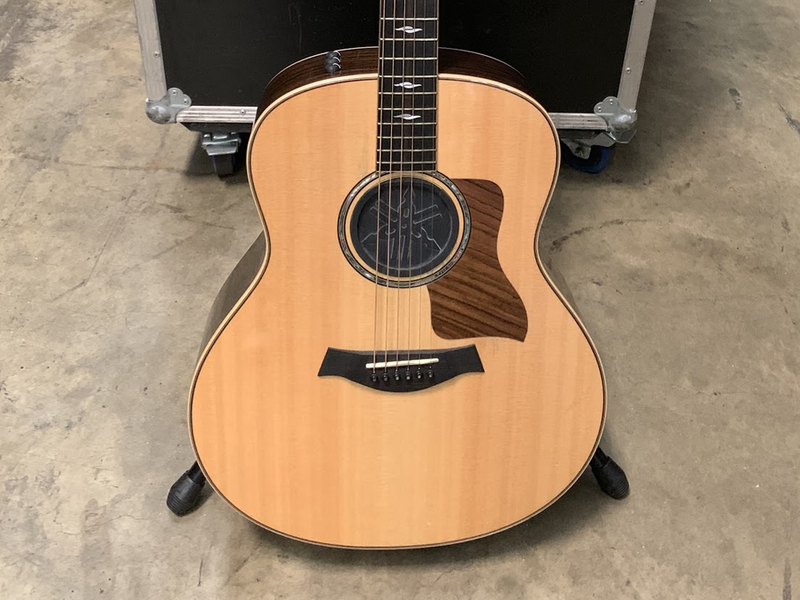 "These guitars have been a massive part of my musical life—so many special memories come to mind when I think of these guitars," says Mcvey. "So I'm excited to pass them down to someone who will use them and make some memories of their own." 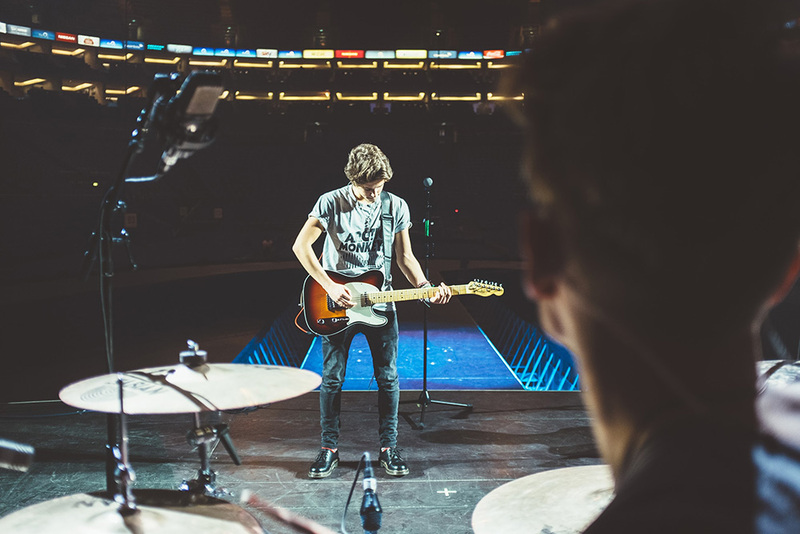 For your chance to make these memories, check out The Vamps Official Reverb Shop now.